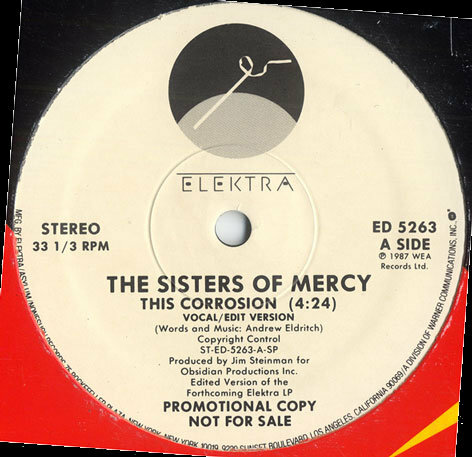 Nothing on this page can be downloaded. 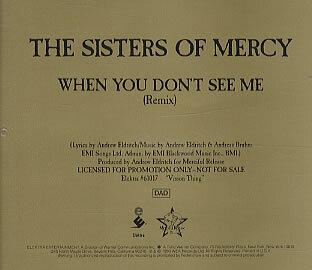 All images are the copyright of their respective designers and are shown here for reference only. 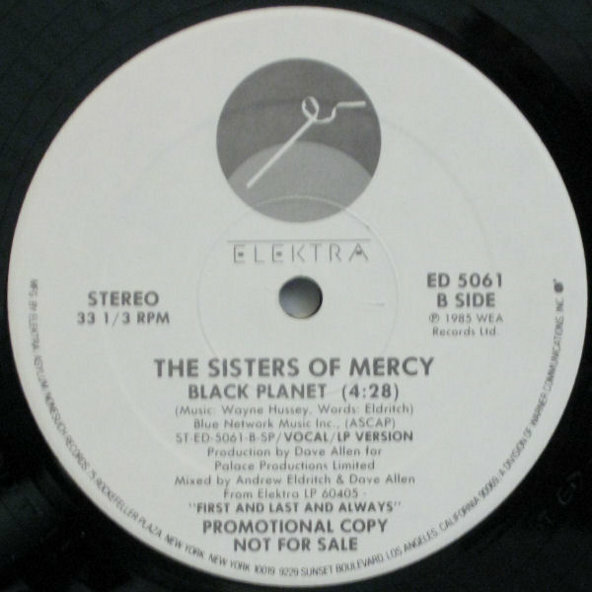 No information, though some sources says Black Planet. 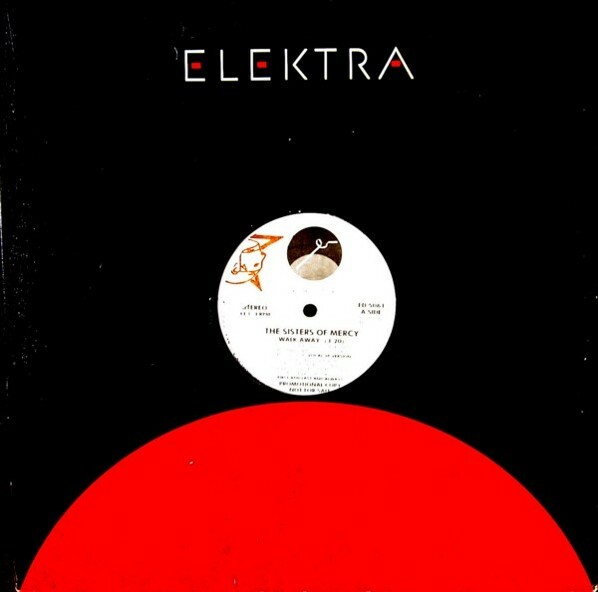 Elektra 1985 7", Promo USA Is this a Black Planet Promo? Elektra ST-E-60405-1 1985 LP, Promo USA Has the photos from the inner sleve of the UK release on the back. 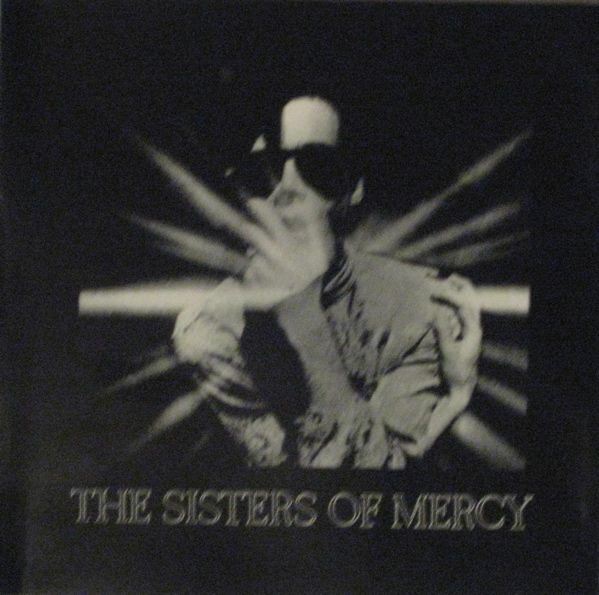 Merciful Release MR337L 1985 LP, Promo Comes in plain white die-cut-sleeve. 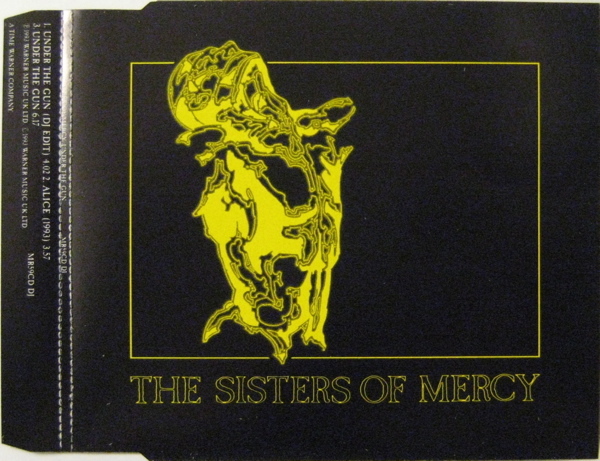 Very few copies with plain white gatefold sleeve, promo insert & promotion postcard. 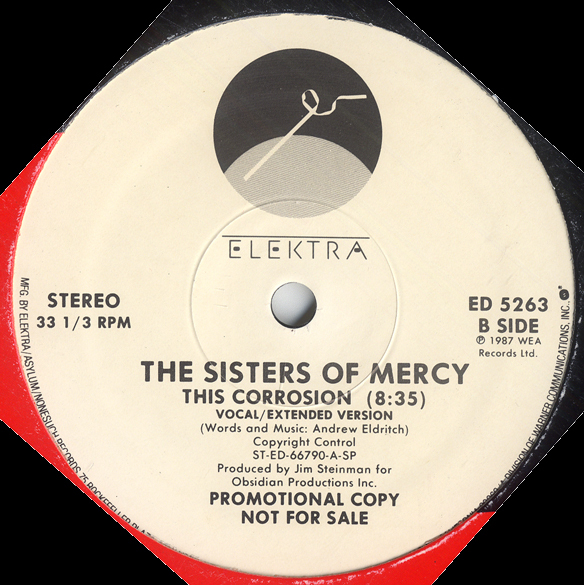 Elektra 7-69434 1987 7", Promo USA Comes in usual Elektra 'This Corrosion' sleeve and states incorrectly 'Torch' as b-side on back sleeve. 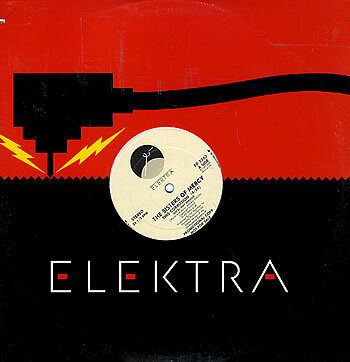 Elektra ED5263 1987 12", Promo USA Only two songs. 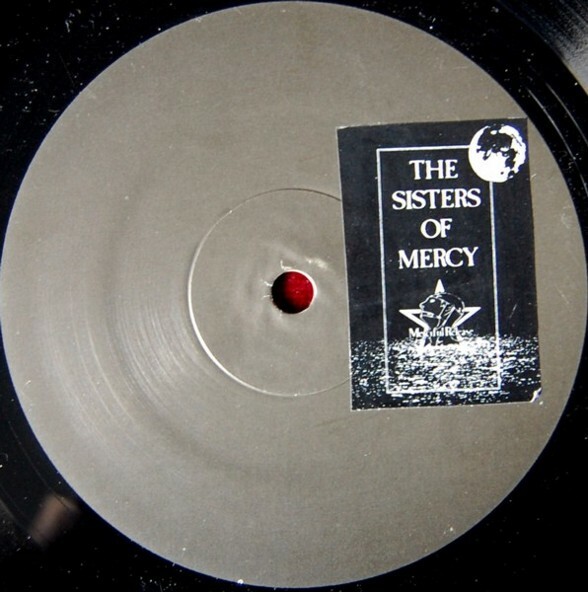 Merciful Release 12", Promo UK Black labels. 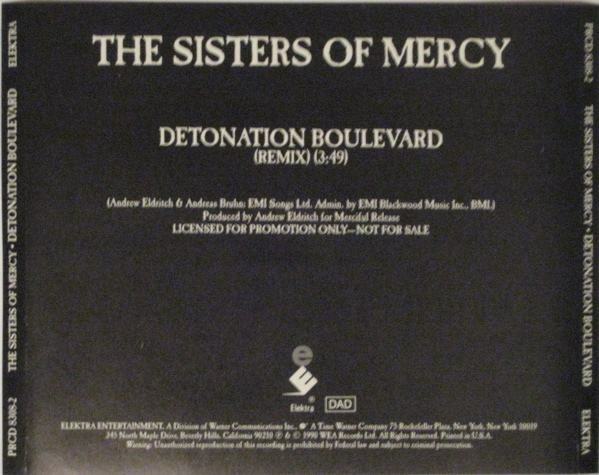 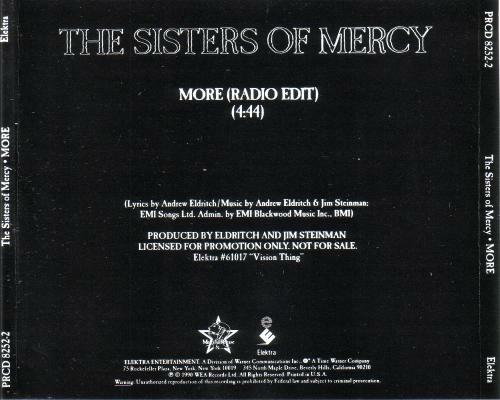 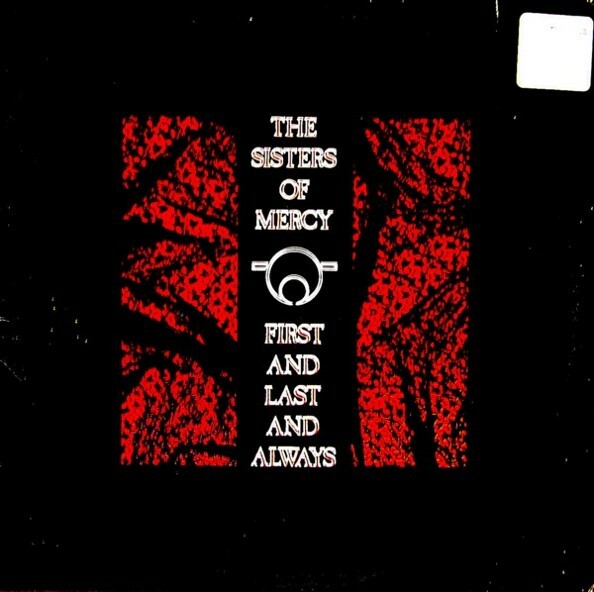 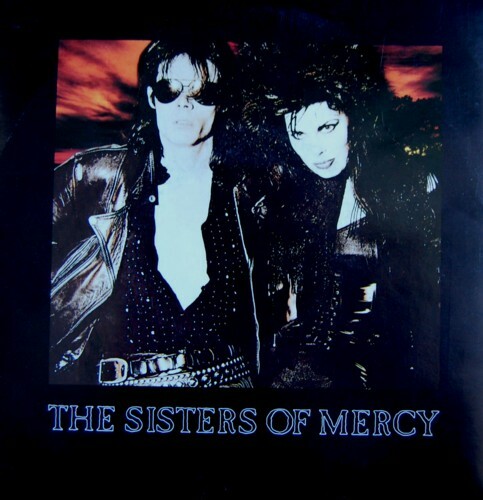 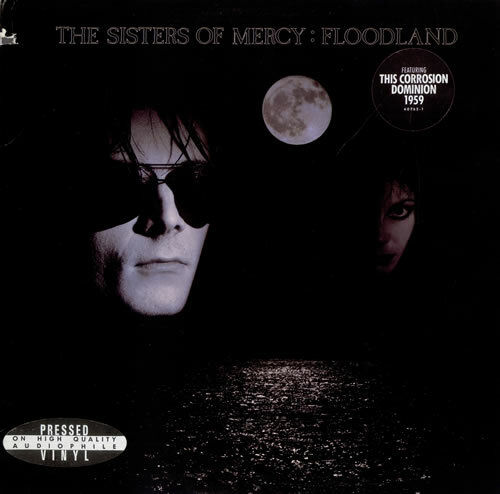 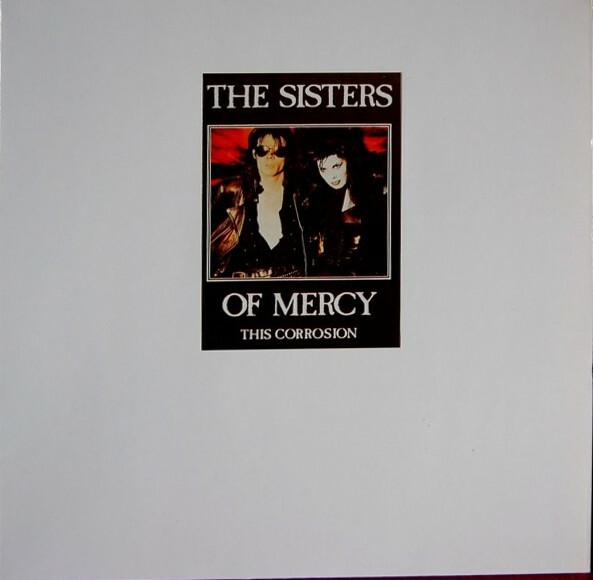 Some copies comes with postcards glued on plain white gatefold-sleeve others with a black plastic bag with silver lettering saying "The Sisters Of Mercy This Corrosion". 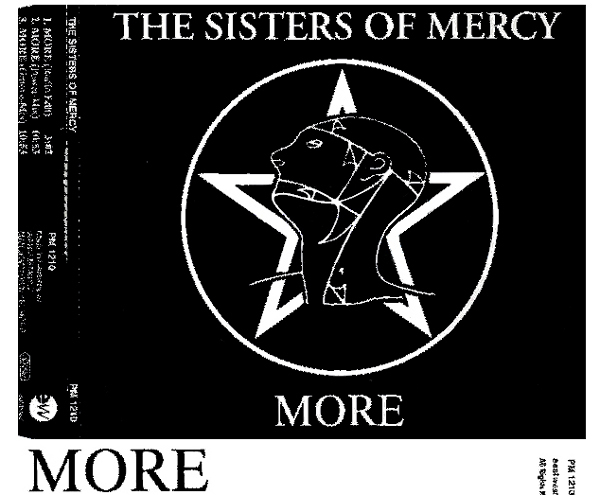 CD, Promo Very limited edition, black CD. 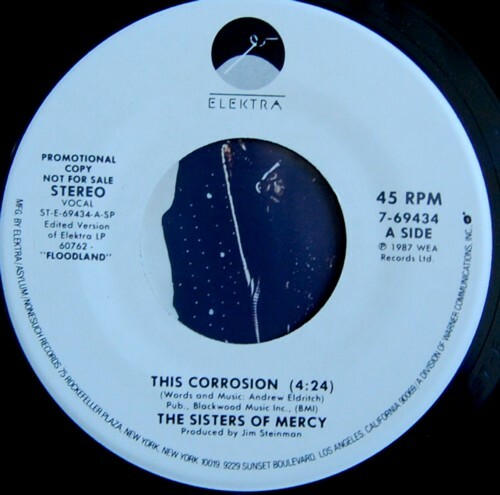 This Corrosion • Torch • Colours. 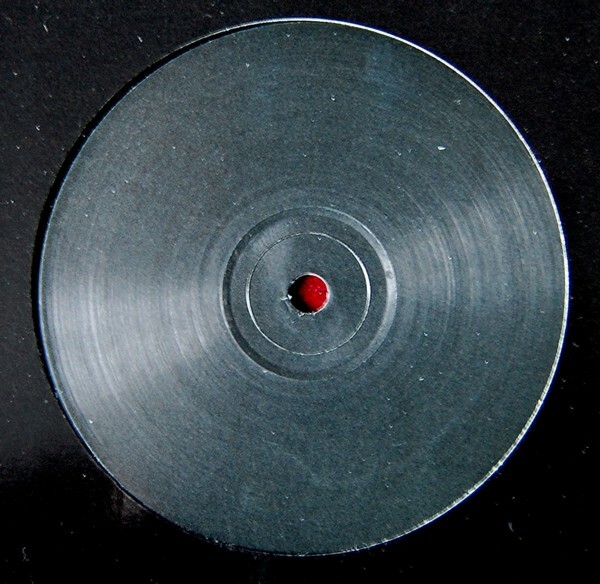 LP, Promo Radioplay promo. 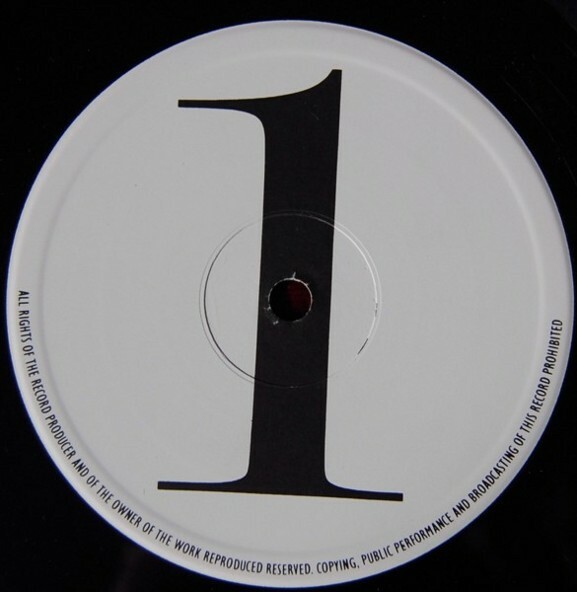 No catalogue numbers. 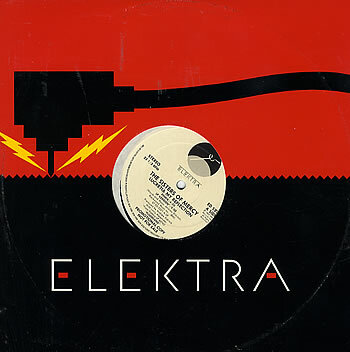 Elektra 60792 CS, Promo Includes Torch. 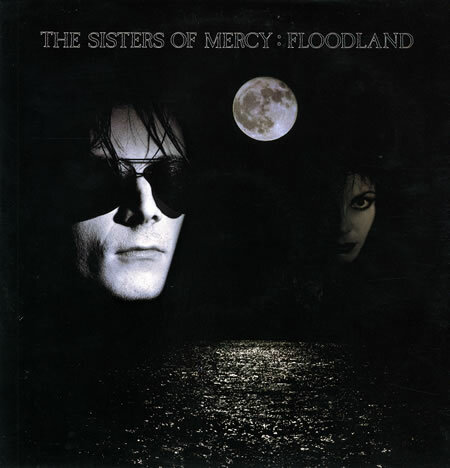 Merciful Release MR441L 1987 LP UK Comes with Floodland cover and black labels. 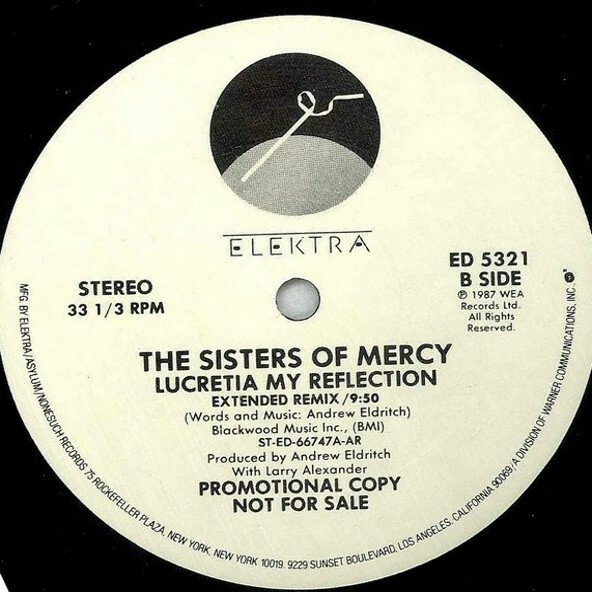 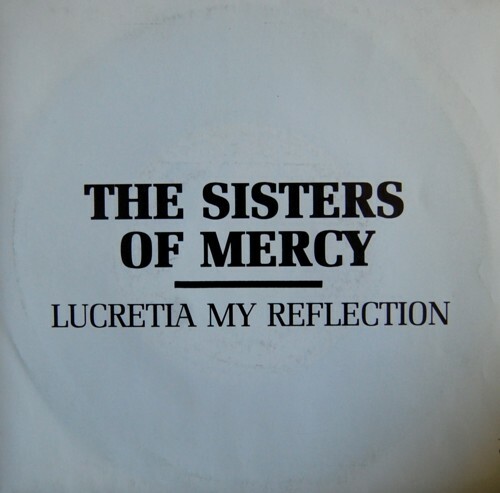 Merciful Release MR441L 1987 LP UK Comes in black die-cut sleeve with silver labels. 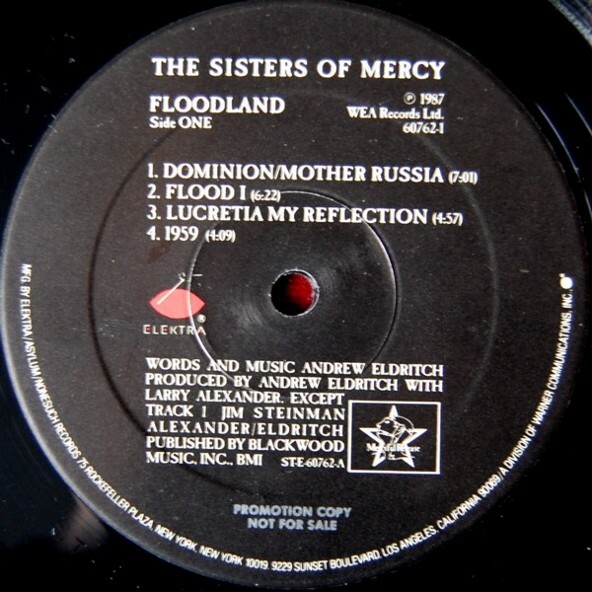 Very few copies with 'Floodland' picture on label, biography sheet and promotion 'Floodland' postcard. 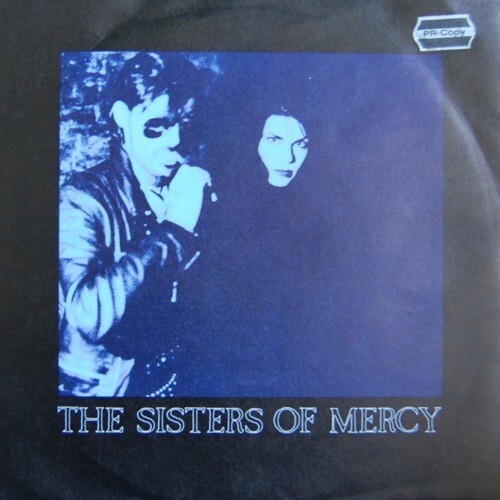 WEA Records Ltd. SAM423 January 1988 UK 12", Promo Black labels, comes in black die cut sleeve. 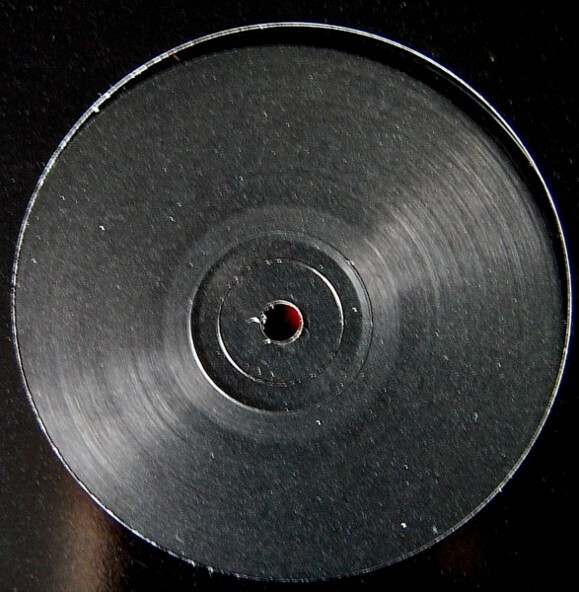 12", Promo Black label, no catalogue number. 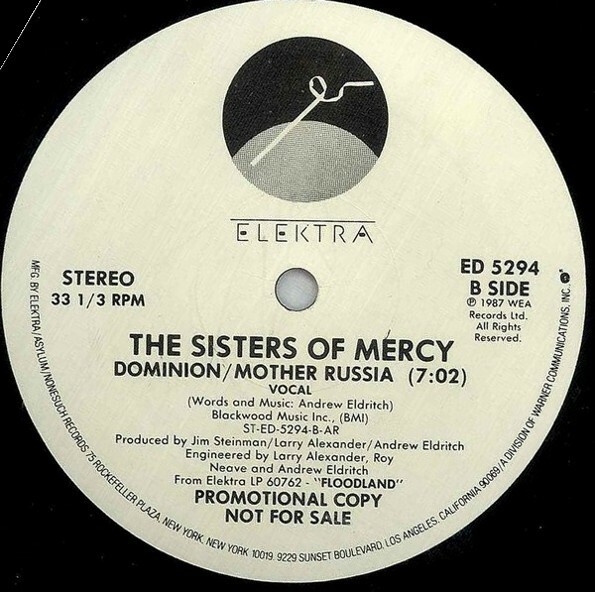 Dominion, Untitled, Sandstorm and Emma. 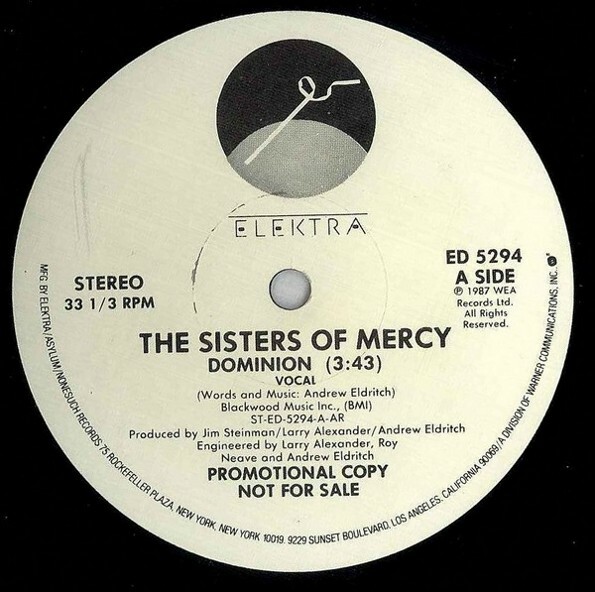 WEA Records Ltd. SAM 443 1987 12", Promo UK No labels. 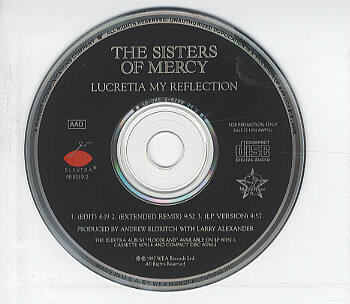 Cover is plastic with one side in a snakeskin patern and the other clear. 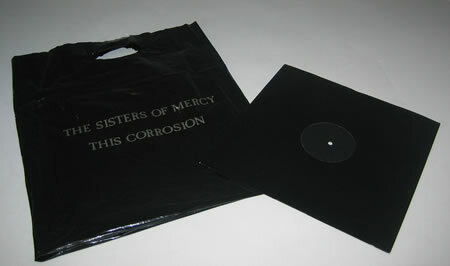 Gloss balck inner sleeve. 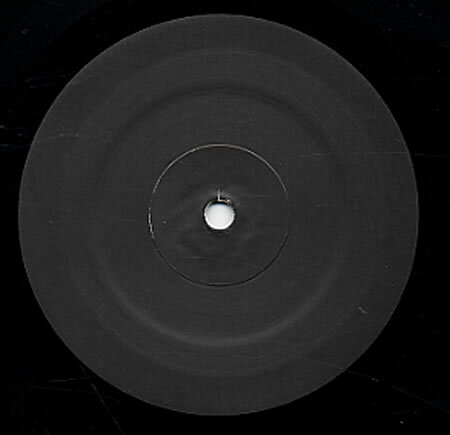 Neither the record nor sleeve are marked to indicate what it is. 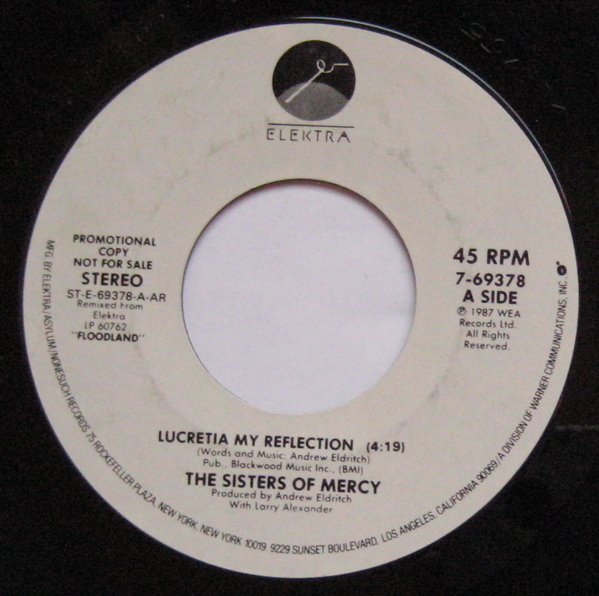 Elektra 9 66595-2 1990 CD, Promo USA White label in jewel box. 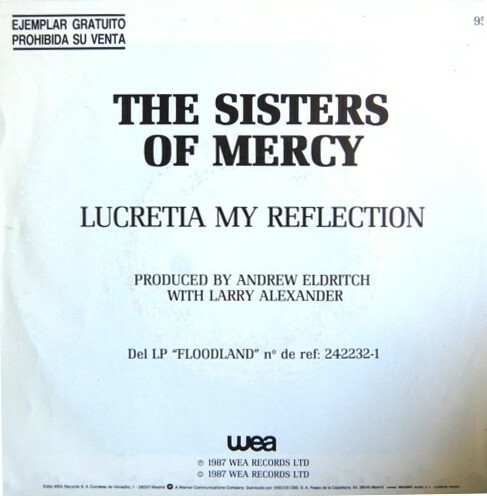 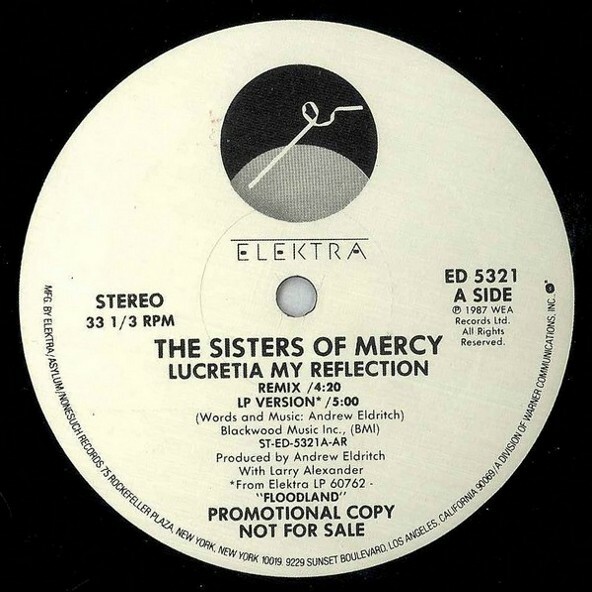 Merciful Release/WEA SAN 724 12", Promo UK On Sided. 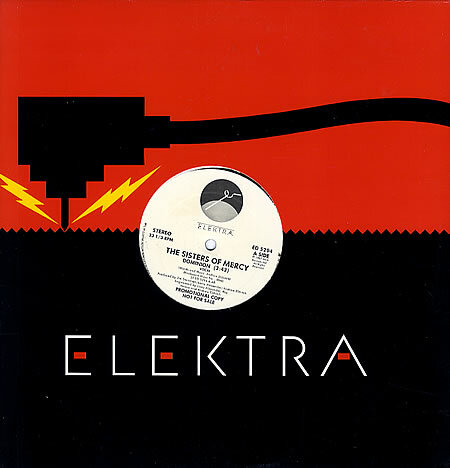 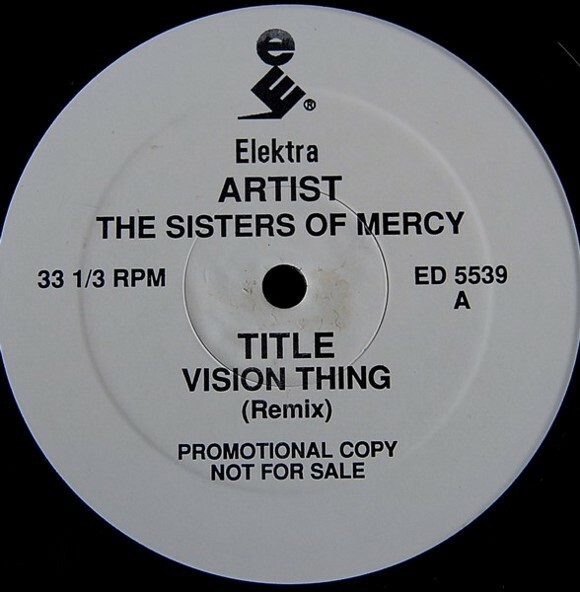 Elektra ED5535 1991 12", Promo USA White label. 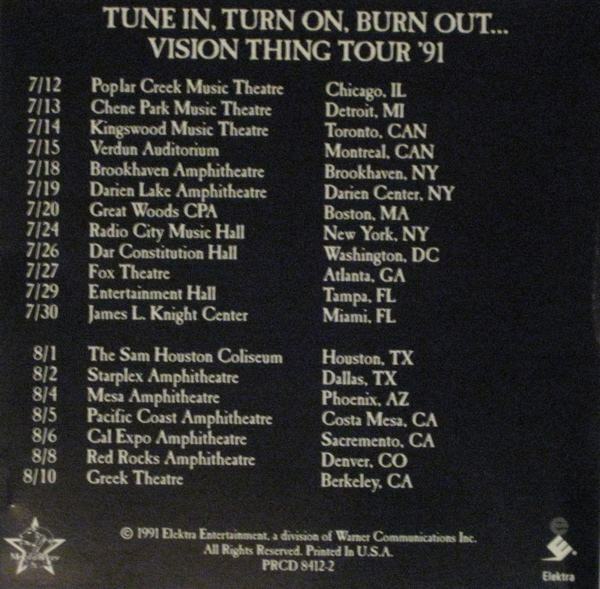 Backtrax 1993 CD, Promo? 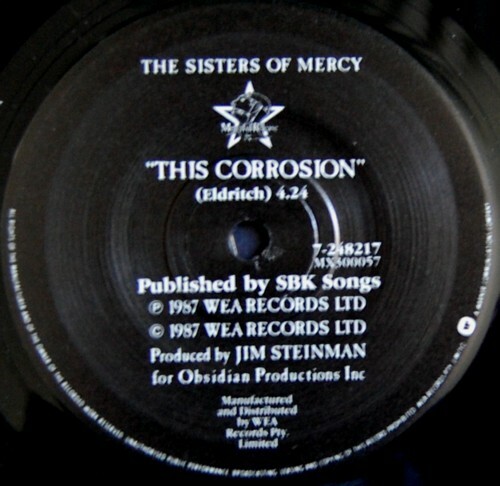 Germany Doctor Jeep and Sandstorm. 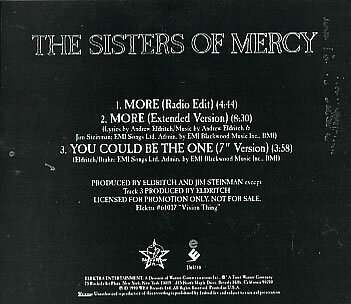 Elektra PRCD 8364-2 1990 CD, Promo USA Black cover on gold paper. 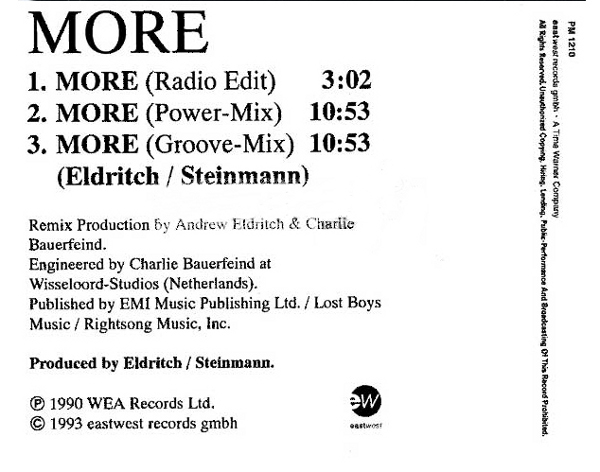 Track 03 is titled: 'A Rock In A Hard Place'. 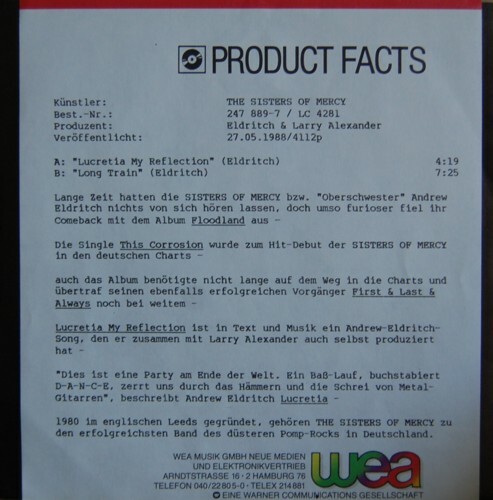 Elektra PRCD8343 1991 CD, Promo USA Comes with back insert only which lists tour dates. 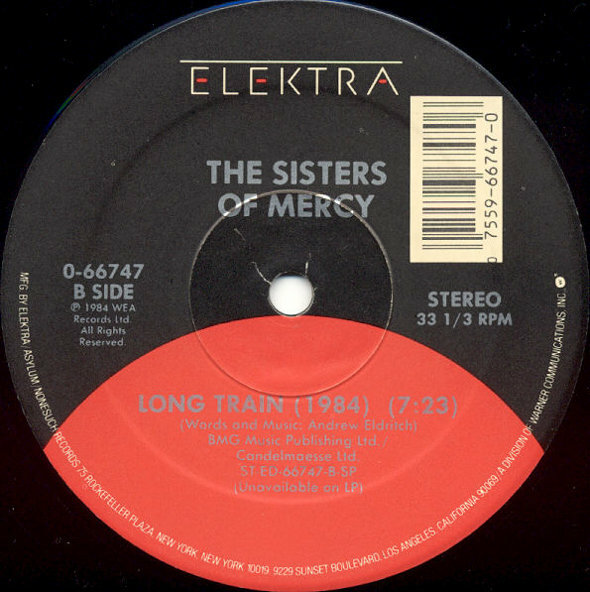 Elektra PRCD 8412-2 1991 CD, Promo USA MR logo screened onto disc. 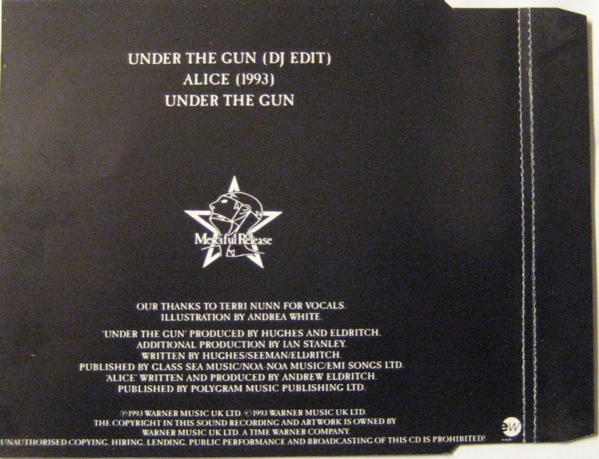 Inside cover has tour dates from the "Tune In, Turn On, Burn Out..." tour with Public Enemy and Gang of Four. 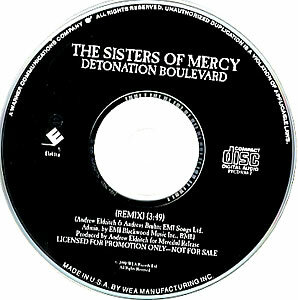 Merciful Release, EastWest MR53CD/DJ, 9031-77384-2 1992 CD, Promo DJ-promo edition. 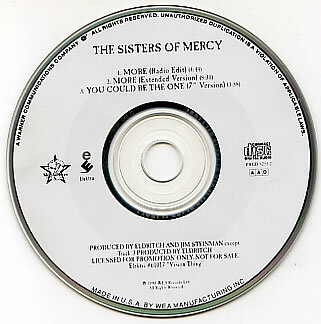 Unlike the other CD single versions, track 1 duration is the same as the 7" version. 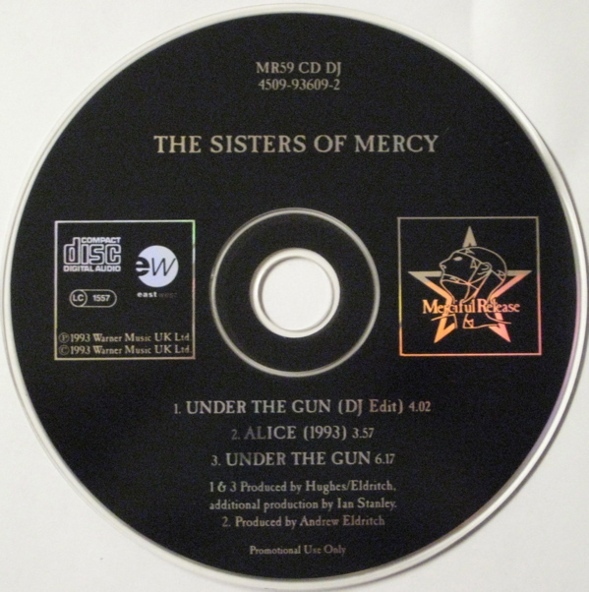 MR53CD/DJ on spine and back cover. 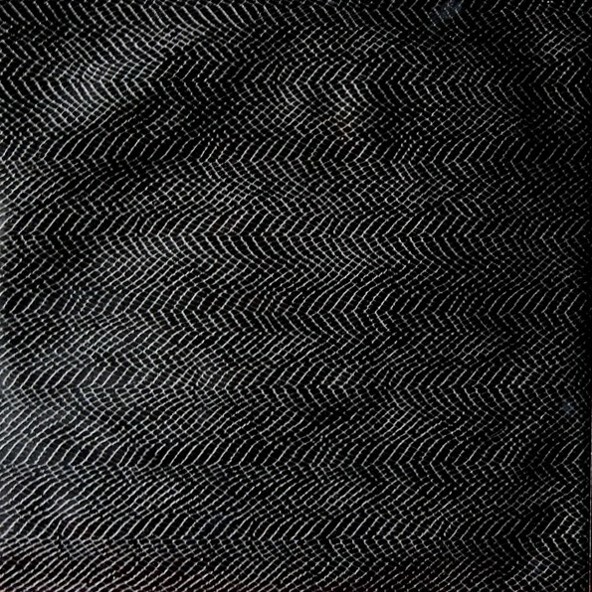 9031-77384-2 on back cover only. 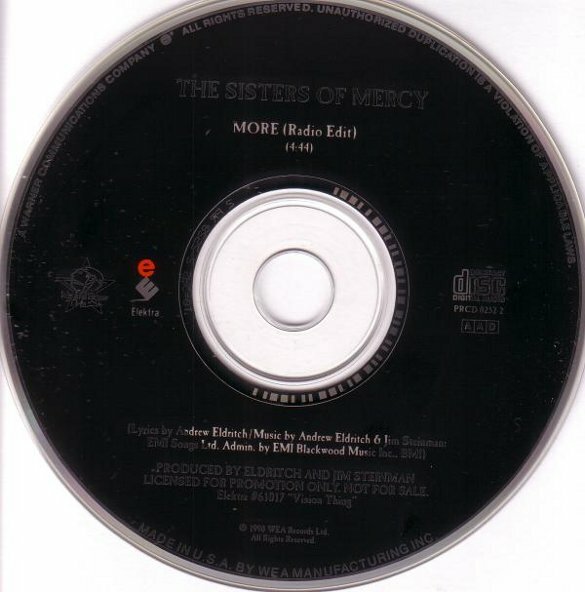 MR53CD DJ on CD only. 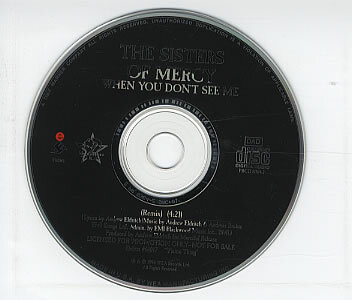 MR 53 CDDJ on CD matrix. 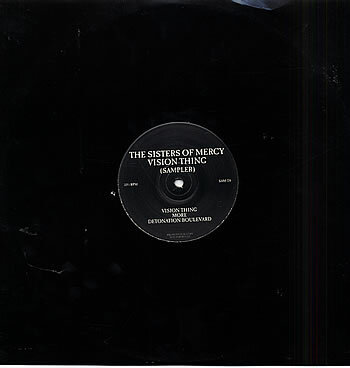 Merciful Release SAM1223 1993 12", Promo UK Black label. 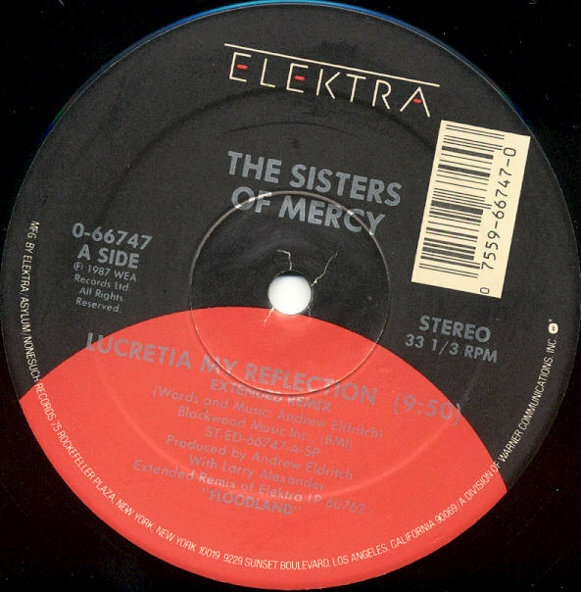 Elektra PRCD 8845-2 1993 CD, Promo USA Limited Edition. 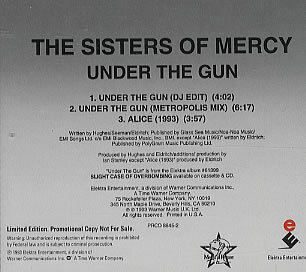 Promotional copy not for sale.